Potatoes are rich in minerals and vitamins including Vitamin-C, B-complex, potassium, magnesium, calcium, phosphorus and zinc. It promotes restoration and growth of skin cells. 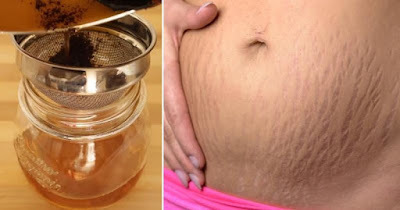 Raw sugar works as a natural exfoliate for the skin, which can help reduce the look of stretch marks.